Seen the babys face? Priceless! 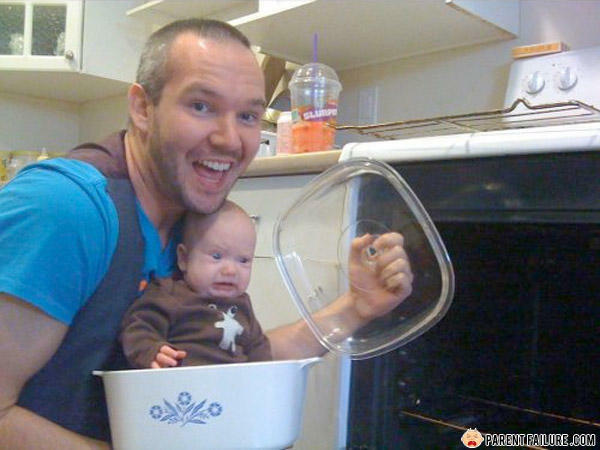 That's just WRONG this Baby is the Microwavable version! That is the babysitter, not the father. I've seen this somewhere else, its supposed to be a joke. The baby be all like: "Dayum, how many more years till I can be reincarnated with a good parent?" (15 years from now) ... We don't know why the kid attacked. He just snapped! How do you scare off a ghost? Tell him your ready for a commitment.